Being Lebanese, I’ve grown up with tahini, but I haven’t always loved it as a dominant taste in dishes or sauces. It’s in hummus and baba ghanoush but it’s more of a subtle taste. Recently, though, I’ve been experimenting with new uses for simple ingredients. 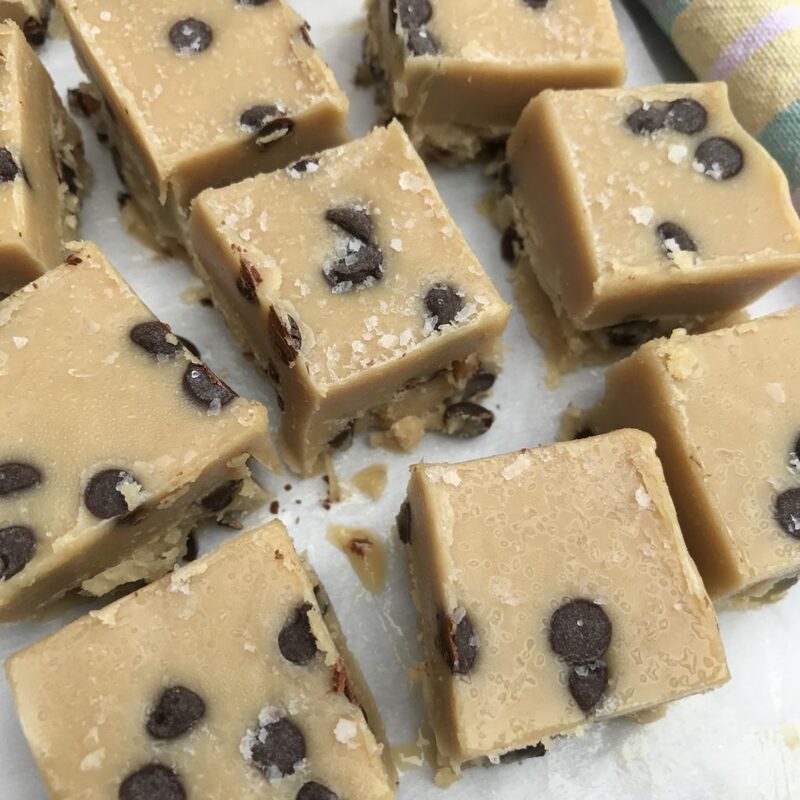 When I saw this fudge recipe made with tahini, I had to try it. Because I’ve grown to love and use tahini so much, I buy it in the 2 pound containers! I use it in salad dressings, sauces for foods, and homemade hummus. Look for an upcoming post where I’ll share some of these yummy recipes. 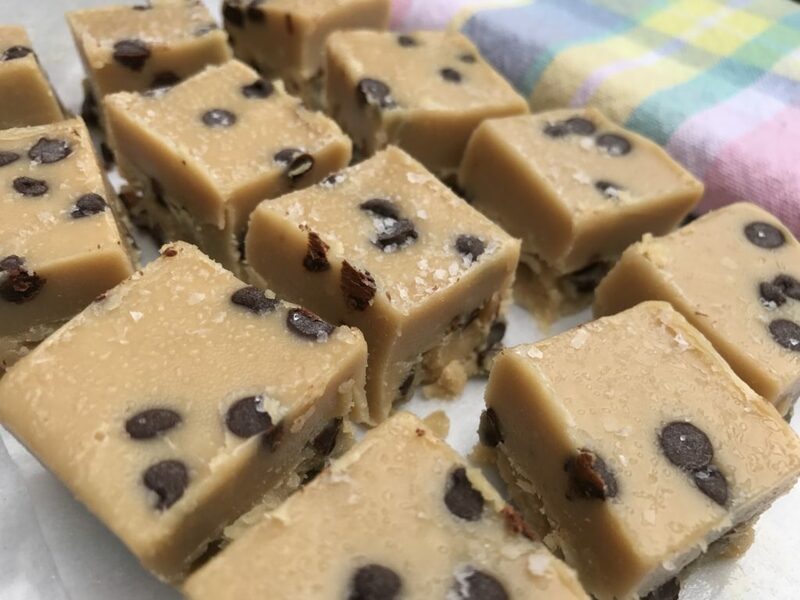 In the mean time, if you happen to have a lot of tahini on hand, then you should consider making this tahini fudge. Freezer fudge is an interesting type of fudge because it uses coconut oil to ‘set’ the fudge. The saturated fat content in coconut oil allows it to congeal at higher temperatures, making it ideal for freezer or fridge fudge. 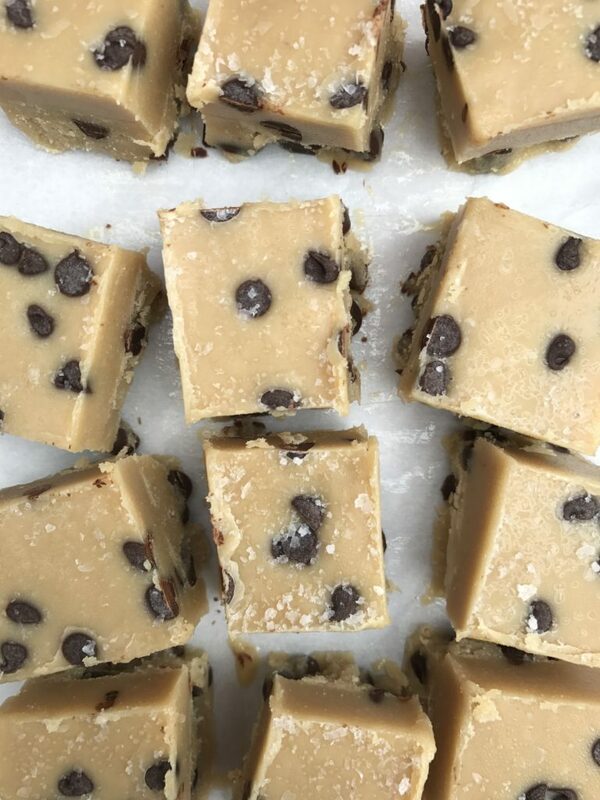 Adding coconut oil to peanut butter and other ingredients sets the fudge within half an hour of being frozen. That’s not a long time to wait if you’re craving something sweet, and healthy. So, here’s the recipe, and it’s from Ambitious Kitchen. 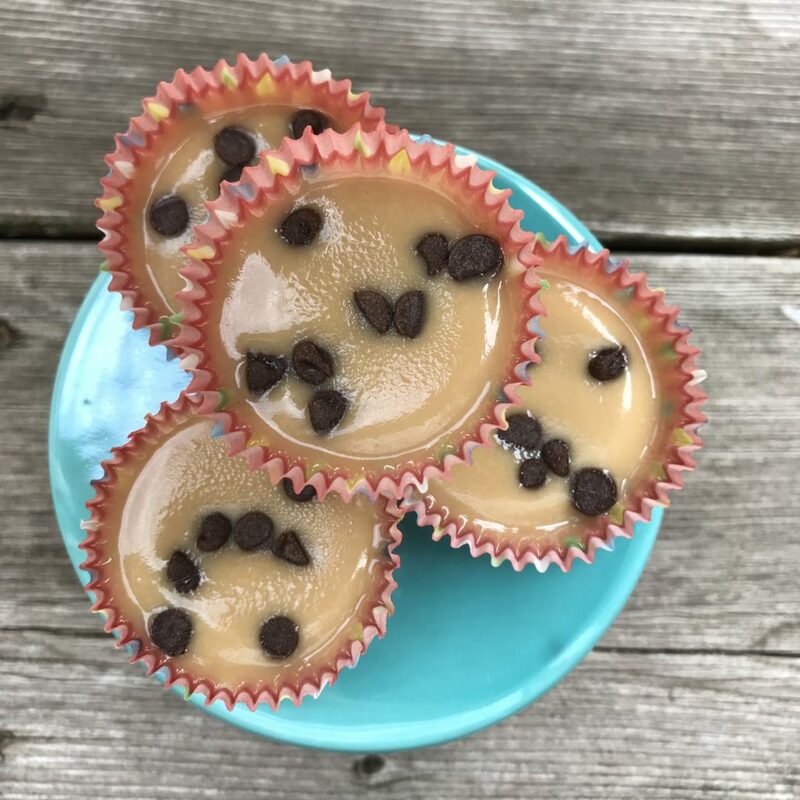 Although the calorie count is high on these delicious fudge pieces, they have a few things going for them: they’re a small, decadent, and satisfying treat; they’re sweetened with maple syrup; they use coconut oil, which many experts are recommending for its role in increasing HDL cholesterol; and, they have a high protein content from the tahini. 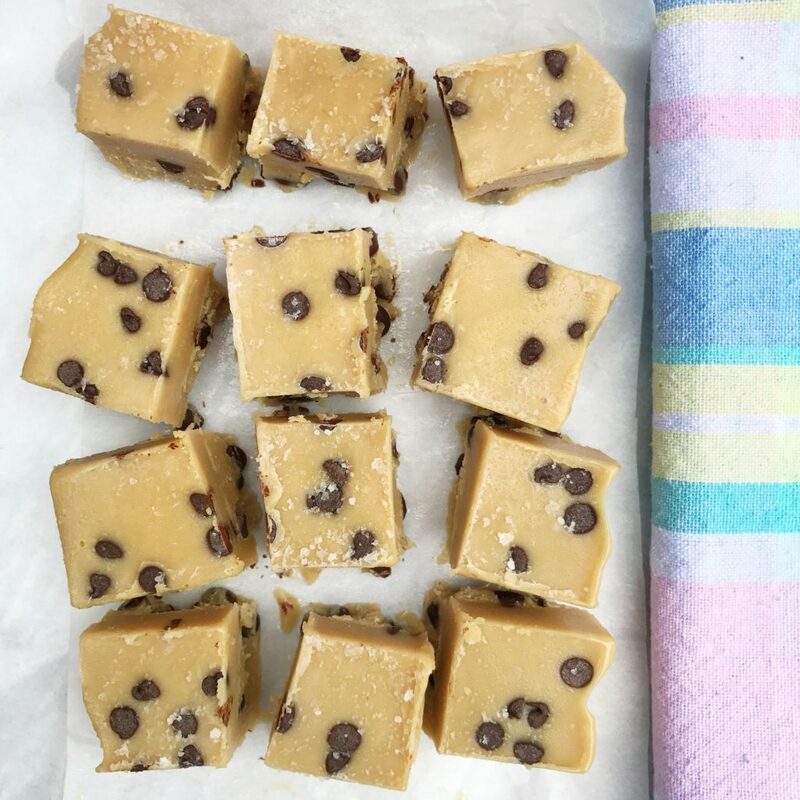 Have you ever made freezer fudge? What kind’s your favorite?